This is it, guys. The Prismata Kickstarter Campaign Launches in UNDER 24 HOURS! EDIT: KICKSTARTER IS NOW LIVE. If you’ve been keeping up with what’s going on over here at Lunarch Studios, you might have heard that our Kickstarter campaign is launching tomorrow. For the first time since I decided quit my PhD at MIT to found Lunarch Studios, I’m scared. Not because I’m afraid that we won’t meet our goal (given the size and growth rate of our fan base, we’ll demolish it), or because I’m worried about our ability to fulfill the rewards (many of them are already ready to go). 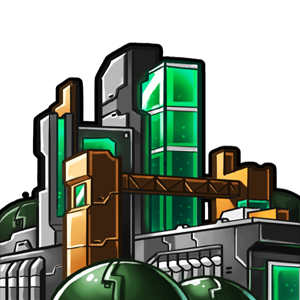 I’m nervous because at long last, we’re taking the key step that will begin the transformation of Prismata from a small, niche game into a massive online experience of epic proportions. There’s no limit to how big this thing can get. Your help matters now. More than you think it does. This is the part where I’m going to ask all of you for help. What you may not realize is that by helping us early, on the very first day, you can amplify the effects of your efforts by tenfold or more. If we get a massive surge of funding on Day 1, it can lead to increased organic traffic on Kickstarter itself, increased media attention, and even result in us getting featured on Kickstarter’s front page. If that happens, it’s possible for our campaign to snowball like crazy. It’s happened before with other games. Let’s make it happen with Prismata. To help convince you, we’ll have some amazing early-bird deals for early project backers, so be sure to get them while you still can! Backer rewards will include things like immediate game access, unlimited arena access, in-game avatars, unit skins, legendary emotes, bonus mission packs, puzzle packs, multi-tabling, and more. Of course, you can lower or cancel your pledge at any time, and you won’t pay a cent unless the goal is met. There is a second way you can help us, which in many cases can be even more beneficial than supporting us directly: HELP SPREAD THE WORD! We’ll be sharing a link to our Kickstarter around noon tomorrow on facebook, and many times throughout the next month. Facebook responds really positively to people liking, commenting, and sharing our posts, causing them to be exposed to even more people. Helping us go viral on Facebook will make a huge difference! Want to spice up your Drones and Tarsiers? We have tons of skins in development – get early access through Kickstarter! Our launch video is looking really awesome. Here are a couple of preview shots. It goes live tomorrow as well! Some images from the filming of the kickstarter video. If you believe in our vision for Prismata, please check out the Kickstarter campaign tomorrow! Reynad, Kripparrian, Trump, Kolento, TidesofTime and SjoW will be competing in the first ever Prismata tournament, held this Thursday, November 20th. 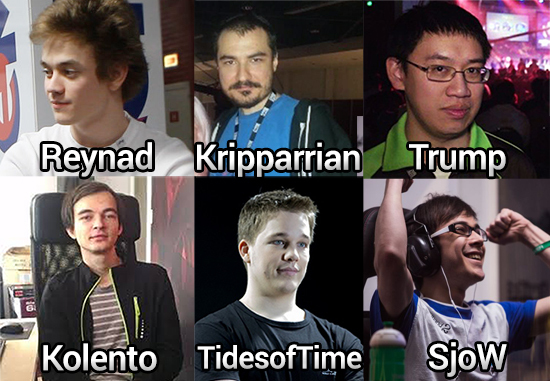 We’ve seen these players compete at high levels in games like Hearthstone, StarCraft 2, and WoW. Now, they’ve been invited to compete in the first ever pro invitational Prismata tournament. Sparks will fly as these talented players square off in Prismata—a fast-paced card game with no decks and no RNG. Only the skilled will survive.